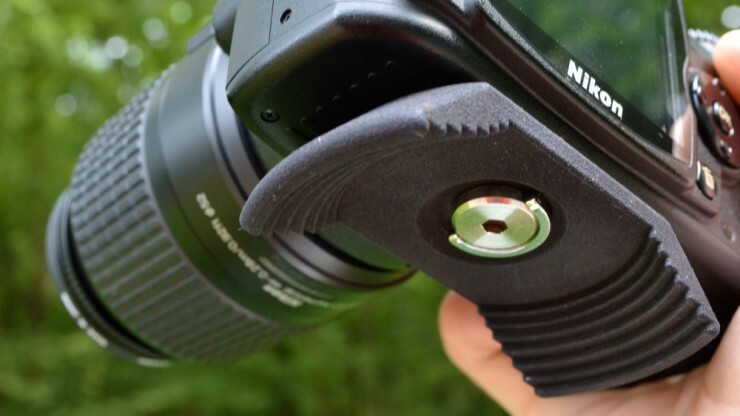 Stow-Away Lens Cap Holder Is Convenient | OhGizmo! Being out taking pictures is fun, but there’s always the pesky problem of the lens cap. What do you do with it? Let it dangle from a string? Gets in your way. Put it in a pocket? That’ll be fun when you sit. Forget to bring it? Scrat-ahoy, matey! No, what you need is the Stow-Away Lens Cap Holder. 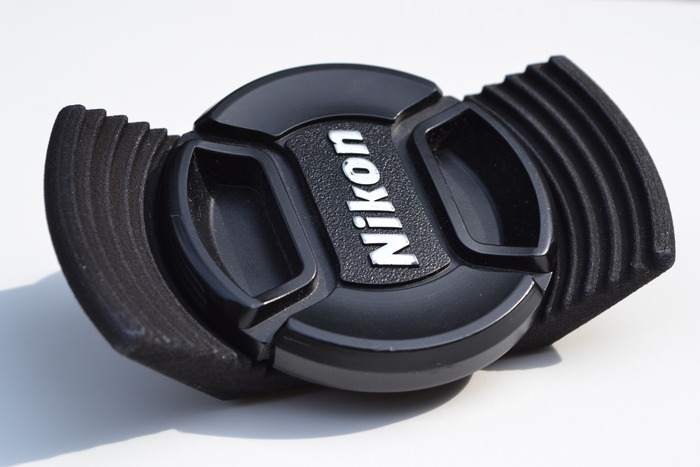 This plastic accessory attaches to the underside of a dSLR and accommodates lenses in 52mm, 55mm, 58mm, 62mm, 67mm, and 72mm sizes. Its graduated design means you just have to push the lens in, and it’ll click in place right where it belongs, without you even having to look. It’s simple, and convenient and at $14 on pre-order, a no-brainer. This is a project on Kickstarter, but they’re almost fully funded, so if you pledge now, you’re promised a December ship date.